As I gather my thoughts to share about the beginning of this homesteading journey, I recall the feeling when I started a Facebook page called A Country Girl’s Heart ~ Beats that Matter. This was before I had chickens, back when everything that is now was a bunch of ideas bouncing around in my head. If I think back farther to the fall of 2008, when we were buying and moving to this property, I remember wondering if these 11 acres could produce a farming income of some kind. I had recently started a job working at a breeding and foaling barn owned by veterinarians and I was immersed in my element: horses. Vet practices, and foaling out mares, two areas that I loved as much as barrel racing and team roping. For the next five years (2008 to 2013) I poured my energy, time and heart into caring for the horses that temporarily lived there. While living out a dream at this barn, I happened to come off one of my own horses, sustaining a traumatic brain injury. While it was not the worst TBI ever, I struggled for a period of time where my brain function was not normal. One of my takeaways from the injury was that I did not want to die and all my devotion only ever focused on horses. I decided I wanted to experience life in other ways. Making these changes did not come easy for me, especially when a part of me did not want to let go. I have been reminded over and over that to move forward I need to stop clinging to the present. Knowing me, I will need to hear that again in my lifetime. This time, beginning in 2013 was dark for me emotionally and physically. I tried a new job at a local factory. I came down with Mono and they “let me go.” I learned my adrenal glands were struggling on top of the fact I had been taking insulin for over 15 years and on a Thyroid hormone. One of my top assets, I thought, was my ability to work hard. I found I physically no longer had the strength to bring that part of Maria to a work place. It was once suggested I go on disability, but pride or the fighting side of me screamed, “No!” I did not want to be that person who settled for life in a chair. I mean no judgment to anyone who has physical limitations. Going on disability felt like giving up. Surely, I could find some other part of me that can earn an income. In my search for what was next, I learned the importance of using what you had. I started looking around me at what I had, instead of what I did not have. One obvious asset was a 30′ by 60′ chicken barn that up until now I was bemoaning the fact it was not structured to house horses. I started thinking about chickens. I began searching online, both social media and Google. 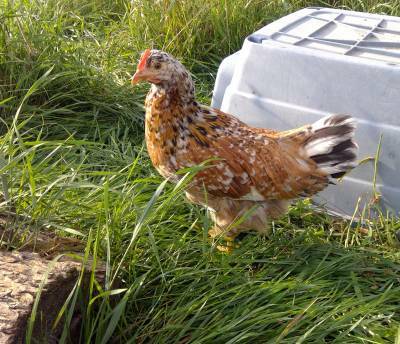 After a period of time I decided on Swedish Flower Hens. 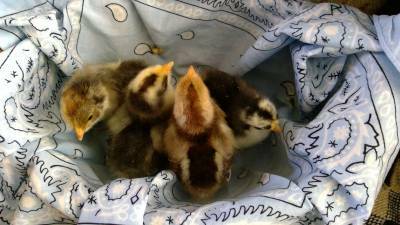 In May of 2016, I drove 3 hours one way to pick up 13 Swedish Flower Hen chicks. My thoughts wondered on my three-hour drive home. Was this perhaps the start of a new path? 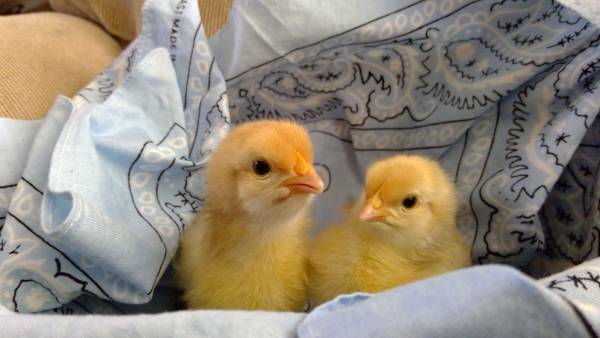 What would the future hold for these chicks and my life story? I felt a bit of excitement as when starting a new adventure, but a bit of secret one for few if any knew of all the ideas floating around in my head. I was not feeling extremely confident in this venture and wanting to keep my ideas to myself for fear of others opinions. The summer dragged on as I waited for them to grow up and begin laying eggs. Before 2016 was over I purchased chicks of two additional breeds adding Lemon Cuckoo Niederrheiners and Silver Gray Dorking to my flock. It felt like I was pulling the teeth of my spouse asking him to build me yet another, and another pen in the chicken barn. After all, if I am going to breed chickens, all three breeds cannot be running together. The integrity of the individual breed’s gene pool would be destroyed. Maria Graber grew up in rural southern Michigan and now lives near Plymouth, Indiana with five horses, two dogs, three rare chicken breeds, and farm cats. She enjoys music and has been known to pick up a fiddle every now and then. In 2013, the love of music found her singing lead on a Christmas CD titled Justified ~ Once In a Manger with her mother, Marian, and friend, Sheila. She enjoys spending time with family when she can get away from the homestead, and meeting new people. She has been blogging over a year at www.dontclipmywings.com. Maria would love to hear about how others are living a homestead lifestyle. You may email her at cgheartbeatsfarm@dontclipmywings.com. 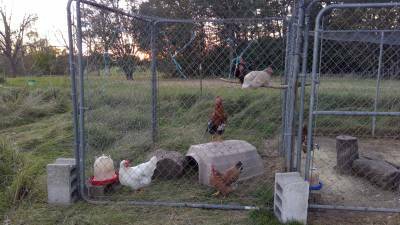 She has recently created a new Facebook group Hatching Eggs, Ideas and Homesteading Practices to teach others interested in the homesteading lifestyle ways to get started.